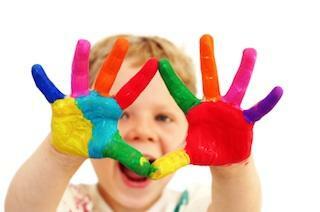 Motor skills in autistic children can be hindered and the problem may be a matter of brain functioning. Researchers are interested in the parallel between motor skills and social behavior. The ability to physically navigate the world requires considerable skill that stems from the central nervous system. The skills include small movements, known as fine motor skills and large movements, or gross motor skills. Fine motor control is necessary for activities like writing and drawing while gross motor control is necessary for activities like walking and jumping. Autism manifests through behavior, including fine and gross motor skills. These are among the most measurable areas to test and they demonstrate brain function differences, even in cases of high functioning autism and Aspergers. For example, the Kennedy Krieger Institute is looking at the relationship between motor skills, social skills and communication in autistic children. Problems with motor skills in children with autism can show up in a number of ways. Gross motor skills can be impaired and this can be due to neurological problems and sensory processing. Learning how to swim, play sports or ride a bike can be difficult because the child may have difficulty with body awareness, balance and motor control. Fine motor skills challenges can make writing, drawing and getting dressed very difficult. Motor control in small muscles in the hands is necessary for many life skills. Speech and language problems are among the most difficult to overcome. Articulation requires precise fine motor skills that involve control over muscles as well as the ability to process language. A treatment plan may include therapeutic activities specifically designed to help improve motor control. In some cases, the child may excel in gross motor with significant impairments in fine motor, or vice versa. Some may have impairments in both areas. Each treatment plan needs to address the specific needs of each child. The approach most likely used will break down tasks into small steps. Once a task is mastered, the child moves to the next goal. The child achieves success in small increments, each building on one another. This method is applicable to gross motor, fine motor and speech therapy. Repetition is an important part of the process and consistency is critical. Parents should be active in their children's treatment plans and they should be familiar with the therapies their children receive. Therapists, behavior specialists and case managers have great opportunities to help parents by providing activities to do with their children. Simple gross motor activities for kids with autism can help improve balance while developing important motor skills. Simon Says is a great game that can be very challenging. The child has to listen to the directions and follow accordingly. Begin by allowing the child to imitate each time and gradually instruct him to listen for Simon's directions as skills are mastered. OT Mom Learning Activities has excellent examples of shoulder exercises for kids as well as an explaination of how these activities can improve fine motor skills. Encourage the child to cross the center of her body while completing activities (crossing midline). For example, drawing large lines and circles on an easel requires the child to cross his arm across his body.Board games are great activities that offer opportunities to build fine motor skills while addressing social skills and communication. Any hands-on project that sparks the child's interest can help. Playing with a child is among the most helpful activities because it is a natural way for kids to learn new skills. The activities can improve motor skills in autistic children, which can lead to improved social interactions and improved speech; they are all interconnected.